Ludibrium, commonly referred to as "Legoland", since the town is made out of Lego-type blocks, is a floating town that is supported by two monstrous 100 floor towers: Eos and Helios. It is suspended over Ludus Lake between two islands, where Omega Sector and Korean Folk Town are located. It is somewhat isolated from the rest of Ossyria island, though a trip underwater can get the player back. Ludibrium is accessed via a train-like ship at Orbis. It is also accessible from Korean Folk Town via its link to Aqua Road. The monsters here are mostly toy-themed and time-themed. According to certain quests, time has stopped in Ludibrium due to the crack in the dimension near the Time Sphere, which has allowed monsters like Alishar and Papulatus to sneak in to the Maple World. In JapanMS, there is a special Party Quest for characters between the levels of 51 and 70, called the Ludibrium Maze Party Quest. It involves navigating a maze and collecting as many passes as possible for experience. There is no boss monster, but there are a few special Tauromacis that drop large numbers of passes. It is accessed in the main town on the exterior of the clock tower. 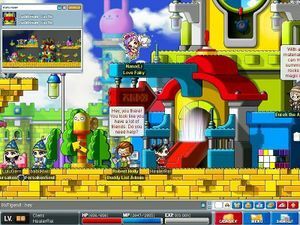 The entrance to the Toy Factory is located in the middle of Ludibrium, at Terrace Hall. The Toy Factory is confusing, as it has many maps linking to each other. Before reaching Clock Tower Dungeon, a player must pass by here. The maps branch out in long paths from the center, with each level getting progressively shorter, forming a bowl. 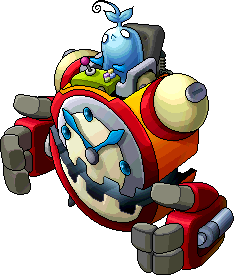 The Clock Tower has many clock-related monsters, and the area boss, Timer. Deep inside the Ludibrium Clock Tower. At the "Path of Time" map, there is an extremely long ladder. At the bottom, one can go two ways: to the right are monsters such as Soul Teddies, Klocks, Death Teddies, and Phantom Watches. 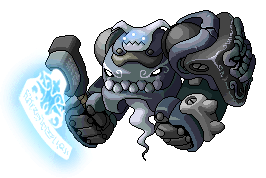 After the Phantom Watches, Thanatos, a guardian of Papulatus, may be found. The monsters on the right are all undead. 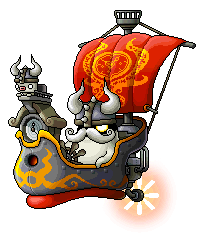 On the left, players may find monsters such as Buffies, Buffoons, Ghost Pirates, and Spirit Vikings. In the map past the Spirit Vikings, Gatekeeper, another guardian of Papulatus, is located. The monsters on the left side, unlike the right, are not weak to heal. Once past Thanatos and Gatekeepers, there is a map devoid of any monsters. This is the bottom of the clock tower, where players are able to access Papulatus. Eos Tower is one of two supports that keeps Ludibrium afloat. Eos tower has 101 floors (its 101st floor being the area for the Ludibrium Party Quest. This Party Quest is for players who are level 50 and above. 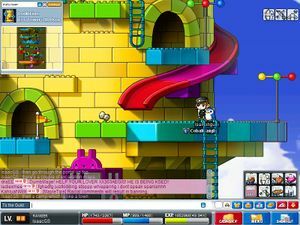 Upon entrance to the Eos tower, a player can accept the Dollhouse quest, which allows only one player on that specific channel to do the quest, similar to how a party quest functions. Players have a time-limit of 10 minutes to find the 'special' dollhouse out of 10 similar-looking dollhouses. Using a return-to-nearest-town scroll on floors 67 and above will return you to Ludibrium, and using it on floors 66 and below will return you to Omega Sector. 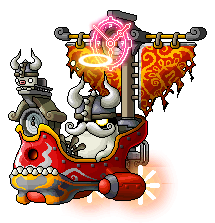 You can pay 5,000 mesos for rapid transportation within the tower, or if you have Eos Rock Scrolls, you can use those as vouchers. 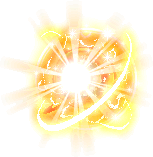 On the lowest floor, the first floor, players may access Omega Sector. Helios tower is located in the east end of Ludibrium, mirroring the Eos Tower; it is the other support that keeps Ludibrium afloat. Only four floors are accessible in this 100 floor tower. Fortunately for travelers, an elevator takes them from the 99th floor to the 2nd floor. The 1st floor holds a library where a giant magical book can be found, which can take players to Korean Folk Town. The Ludibrium Time Control room also exists here, where players can take a trip back in time to Ellin Forest, Victoria Island's past. Ludibrium : Ludibrium Quest NPC. Ludibrium : Ludibrium Sells pet food and pet guides. Ludibrium : Ludibrium Event NPC. Ludibrium : Ludibrium Expands your buddy list for a fee of 50,000 mesos. Ludibrium : Ludibrium Storage NPC. 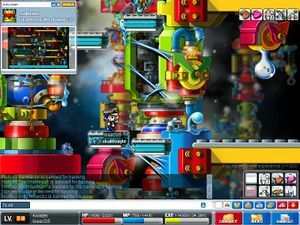 Ludibrium : Ludibrium Teleports you to Omega Sector, Path of Time, Korean Folk Town, or Ellin Forest for 25,000 mesos. Ludibrium : Ludibrium Takes you to World Tour locations. Ludibrium : Ludibrium Sells 100% scrolls. Ludibrium : Ludibrium Weapon Store Sells armor. Ludibrium : Ludibrium Weapon Store Sells weapons. Ludibrium : Ludibrium General Store Sells potions and consumables. Ludibrium : Ludibrium Plastic Surgery Changes your face with a VIP coupon. Ludibrium : Ludibrium Plastic Surgery Changes your face with a regular coupon. Ludibrium : Ludibrium Plastic Surgery Changes your eye color. Ludibrium : Ludibrium Hair Salon Changes your hair with a VIP coupon. Ludibrium : Ludibrium Hair Salon Changes your hair with a REG coupon. Ludibrium : Ludibrium Skin Care Changes your skin color with a coupon. Ludibrium : Ludibrium Pet Walkway Pet trainer. Ludibrium : Ticketing Place Transportation info. Ludibrium : Ticketing Place Lets you rent airplanes for a fee. Ludibrium : Station<Orbis> Allows you to head to Orbis. Ludibrium : Before the Departure <Orbis> Allows you to exit the boat to Orbis. Ludibrium : Ludibrium Village The game master. Makes decks of cards and Omok sets if you bring him the right materials. Ludibrium : Ludibrium Village Repairs durability equipment. 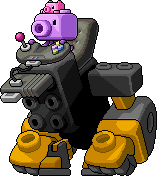 Ludibrium : Korin's House Quest NPC. Ludibrium : Manager Karl's House Quest NPC. Ludibrium : Tara and Sarah's House Repairs durability equipment. Ludibrium : Chloe's House Involved with pet revival. Ludibrium : Mason's House Quest NPC. Ludibrium : Eos Tower Entrance Pet info. Ludibrium : Eos Tower Entrance Quest NPC. Ludibrium : Terrace Hall Quest NPC. 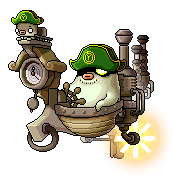 Ludibrium : Toy Factory <Main Process 1> Quest NPC. Ludibrium : Toy Factory <Process 2> Zone 2 Quest NPC. 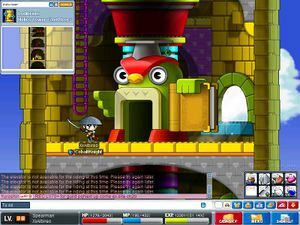 Ludibrium : Toy Factory <Main Process 2> Quest NPC. Ludibrium : Toy Factory <Process 2> Zone 4 Quest NPC. 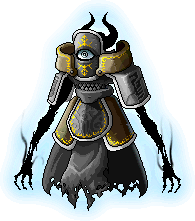 Ludibrium : Crossroad of Time Silent Crusade Quest NPC. Ludibrium : Lost Time <1> Quest NPC. Ludibrium : Path of Time Sells potions and consumables. Ludibrium : Path of Time Quest NPC. Ludibrium : Eos Tower 1st, 10th, 31st, 35th, 66th, 70th, 91st, and 100th floor. Allows you to teleport to the other spots in Eos Tower for 15,000 mesos. Ludibrium : Eos Tower 100th Floor Quest NPC. Ludibrium: Eos Tower 99th Floor Quest NPC. Ludibrium : Eos Tower 96rd Floor Quest NPC. Ludibrium : Eos Tower 94th Floor Quest NPC. Ludibrium : Eos Tower 93rd Floor Quest NPC. Ludibrium : Eos Tower 71st ~ 90th Floor Quest NPC. Ludibrium : Eos Tower 67th Floor Quest NPC. Ludibrium : Eos Tower 66th Floor Sells potions and consumables. Ludibrium : Eos Tower 34th Floor Quest NPC. Ludibrium : Eos Tower 33rd Floor Quest NPC. Ludibrium : Eos Tower 32nd Floor Quest NPC. Ludibrium : Eos Tower 4th Floor Quest NPC. Ludibrium : Eos Tower 2nd Floor Quest NPC. Ludibrium : Helios Tower <Library> Quest NPC. This page was last edited on 5 February 2019, at 12:05. This page has been accessed 176,722 times.